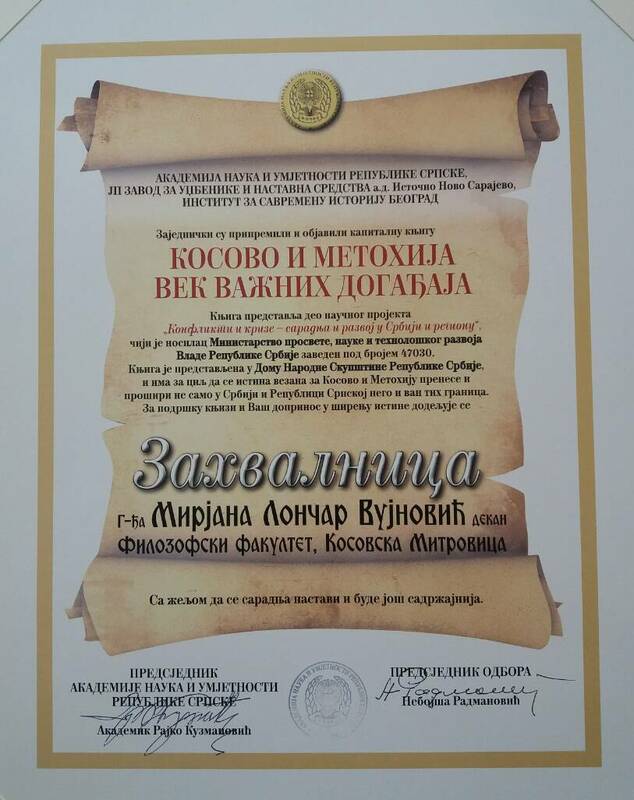 Our Dean, prof. dr Mirjana Lončar Vujnović received an Appreciation Award in recognition of her efforts into disseminating the truth about Kosovo and Metohija to Serbia, Republika Sprska, and further. 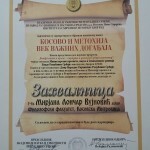 The award was presented for the publication of an influential book entitled Kosovo and Metohija: a century of momentous events produced by the Academy of Science and Art of Republika Srpska, the Institute for Teaching Resources from East Sarajevo, and the Institute for Modern History in Belgrade. The book resulted from the framework of the research project “Conflicts and crises – cooperation and development in Serbia and its surroundings” managed by the Ministry of Education, Science, and Technological Development of Serbia, no. 47030.